A Vacation in Punta Cana you'll never forget !!! You want a romantic vacation, honeymoon, anniversaries, or family trip? JZVacations.com, plan your trip easy and affordable. To enjoy with your partner and he even included a child. For only $999 enjoy a stay in 5 star hotel facing the sea for 5 unforgettable days and 4 nights, all meals and drinks included, daily shows, casinos, nightclubs, water sports and entertainment. Prices are for the whole package, not per person or per night. 6 days for 4 people, breakfast buffet for the whole family, transportation to the parks and much more! Punta Cana is part of the borough Punta Cana-Bavaro-Veron-Macao in La Altagracia, the easternmost province of the Dominican Republic. The area is known for its beaches and resorts, which face both the Caribbean and the Atlantic, and has been a popular tourist destination since the 1970s The name refers to Punta Cana cane palms in the region, and literally means "Council of Palms White Cane"
* 14 bars with wide selection of cocktails and drinks of national and international brands. Hotels have 10 or more pools, casinos, golf course, gym. Transport from Punta Cana airport to the hotel (only one way). Need to relax, pamper your partner, stimulated while saving money ?, This is the perfect time to have that taste, the vacation you deserve it. 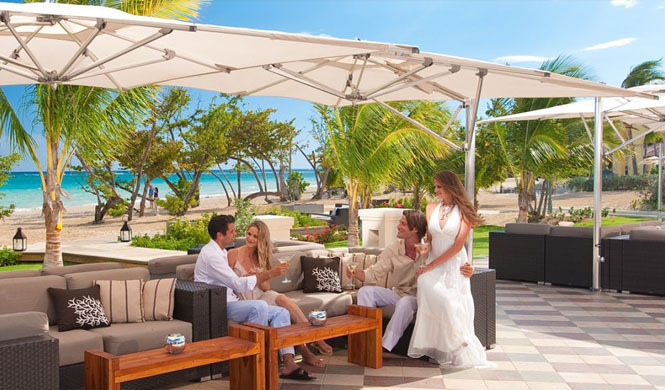 Enjoy the beautiful and unique beaches of Punta Cana Bavarian surrounded by fine sand and clear sea transfer him to a total ecstasy as nothing prevents you drink and eat as you like while enjoying a fun and lively atmosphere. Leave your worries at home, because it is time to enjoy !!! To plan your vacation perfect scores on our entire team of vacation experts who will be on hand to help in any way possible. Taking you by the hand to realize your dreams. If you have questions or concerns about supply availability dates, you can now call himself a: FREE 1-888-794-4141 / 646-580-2314. Punta Cana is certainly one of the most popular Caribbean destinations. The sugar white sand and warm water make this a very attractive destination for all types of travelers. The area offers many activities for visitors, such as catamaran rides, a variety of golf courses, zip line, diving and many more! . There is also the Punta Cana, where guided tours for travelers feel more familiar with the area tours are offered Ecological Park. Just as an unlimited additional activities which you can get more information at the hotel. Punta Cana is the perfect destination for your beach vacation. Book your holidays in Punta Cana with us today and save big! Just $ 199 per couple, will make one of his dreams fulfilled ... see the wonders that lurk in the Dominican flavor. Our offers to Punta Cana extraordinary promise them all inclusive resorts and splendid beaches surrounded by magnificent palm trees elevated apparently reach the sky! Located on the eastern coast of the Dominican Republic, Punta Cana is a real gem of the Caribbean. Imagine frolicking on the beaches of white sand pearl, shaded by graceful palm trees, clear blue waters before and the longest continuous reef in the region. The majestic coral reef breaks the waves offshore, keeping the Punta Cana beaches with crystalline waters and gentle waves. Stunning Bavaro beach and most of its beachfront hotels are less than 30 minutes from Punta Cana International Airport and about three hours from the international airport of Santo Domingo (SDQ). Several branded hotels are represented in Punta Cana with its multi-complex of hotels and resort offering guests an exceptional variety of activities on land and at sea great. 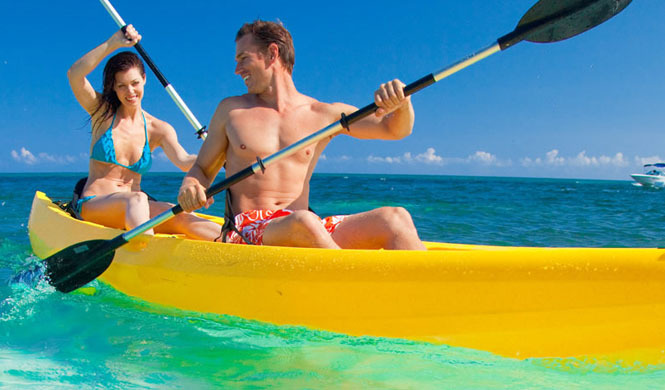 Punta Cana Hotels catering to families, couples, golfers and water sports. The Dominican Republic was named the "Golf Destination of the Year for the Caribbean and Latin America '2008 by the International Association of Golf Tour Operators (IAGTO). Discover the secret of Punta Cana green, come to visit Eyes Indian reservation! Feel like space with Sea Trek diving mode and make snorkel with sharks! A route Jeep the most natural and authentic landscapes of Punta Cana with which to meet the indigenous culture of the region. Airport: The international airport of Punta Cana is one of the busiest and best connected airports in the Caribbean. In 2008, Punta Cana received 3,758,109 passengers, which is the busiest airport in the country. The airport serves more passengers than the Las Americas International Airport in Santo Domingo. Punta Cana Group built the Punta Cana International Airport in 1984 to facilitate tourism in the area. It was the first international airport in private ownership in the world. Golf Courses: Punta Cana boasts 12 championship golf courses that were built in 1991 by designers such as Jack Nicklaus, PB Dye, Tom Fazio, Nick Faldo and Nick Price. Punta Espada, along with Teeth of the Dog in the House figure among the top 50 best golf courses in the world. Bahía Príncipe Punta Cana: Punta Cana is famous for its stunning scenery, it is heaven on earth. The vast, endless sandy beaches, surrounded by coconut trees, clear blue sea and the resorts of Punta Cana, all inclusive. For large spaces and tropical gardens, the resort is a small paradise in Punta Cana. For the wide variety of facilities, services and hotel entertainment, you can also enjoy the Grand BahiaPrincipeBavaro. Own internal busecitos excellent access to all facilities. For its amazing location on the sea and a beautiful beach to enjoy it beyond measure. 756 Superior Junior Suite with Jacuzzi are waiting amidst the Caribbean paradise of Punta Cana.Están distributed in villas with 2 and 3 heights. Occidental Grand Punta Cana Resort: Located next ala most spectacular Punta Cana beach, this all-inclusive resort cozy and quiet, the Spanish-style architecture blends into the tropical landscape that characterizes the coast of the Dominican Republic, will captivate both families and couples and newly married seeking rest and relaxation combined with fun and entertainment. Moreover, if you are looking for an All Inclusive Punta Cana experience true luxury, consider booking enhance your stay Royal Club. Think of the Real Club Grand Punta Cana as a Boutique hotel in a resort which gives you VIP access to Niki bar, the Royal Club Restaurant, and other services within the Grand Punta Cana Resort. Next to the beautiful beaches of Punta Cana, the quiet and comfortable rooms Grand Punta Cana offers various possibilities to enjoy your holidays or business trips with the best comfort and in a unique setting. The Junior Suites feature a king "LCD TV bed or two double beds, minibar, safe, hairdryer, de32 flat screen satellite TV and telephone. Each minibar has water and soft drinks is restocked every day. Barceló Punta Cana: This hotel is located in Punta Cana, one of the most sought after locations in the Dominican Caribbean because of its crystal clear turquoise waters and exotic beaches. This category Premium resort is surrounded by tropical gardens and has 7 specialty restaurants you can enjoy thanks to the Barceló All Inclusive program. The Barceló Punta Cana can enjoy water sports on your fabulous beach or relax in the swimming pools and excellent facilities. It is ideal for families, couples and friends thanks to the extensive hotel facilities. It's impossible to get bored at this hotel. 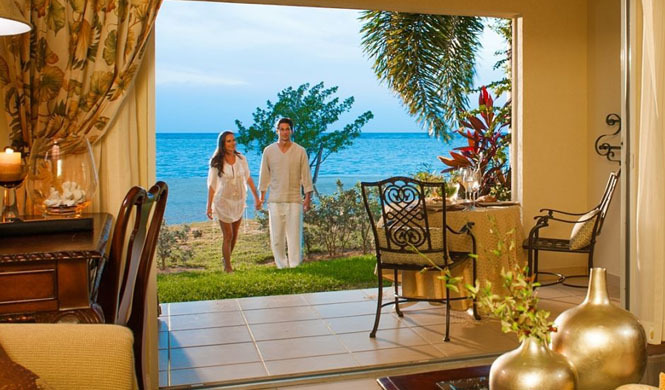 Here you will be able to enjoy the sublime water and tranquility of the Caribbean. Enjoy a few days of leisure and relaxation in spacious, comfortable, bright and elegant double rooms of 33 m2 spacious. Enjoy the relaxation and comfort that offer our stays converting their days in the Caribbean Dominican unforgettable vacation. RIU Hotels & Resorts: Located on the beach of Punta Cana, Dominican Republic, the Hotel Riu Palace Punta Cana (All Inclusive 24 hours) offers guests a 5 star service, comfort and quality. A luxury hotel surrounded by the exuberance of the Caribbean. It's hard to leave and escape the hustle and bustle of the city, so in this palace you'll find the best options for a complete rest during your vacation. Includes a freshwater pool, gym, sauna, jacuzzi and wellness center "Eternal Spa" with a range of different treatments and massages. As is within walking distance from the sea, you can enjoy a sandy beach with crystal clear waters and white sand where you can swim so cool with a cocktail at the bar. Sirenis Cocotal Beach Resort: This five star Resort has two spectacular hotels: Sirenis Tropical Suites Casino & Aquagames and Sirenis Cocotal Beach Resort Casino & Aquagames. Discover the colors of Punta Cana at the Sirenis Cocotal Beach Resort Casino & Aquagames located in Punta Cana, one of the most beautiful coconut groves in the Caribbean, with a virgin beach 400 meters. The exceptional environment, services and facilities offer the ideal destination for an unforgettable holiday. Immerse yourself in the amazing Caribbean atmosphere at the Sirenis Cocotal Beach Resort Casino & Aquagames and come and enjoy our new water park of 12,000 m2, SirenisAquagames Punta Cana! We have a variety of hotels and resorts participating in this super offer, all of 4- 5 stars waterfront, and according to the dates you select will be confirmed based on availability thereof. No matter what the hotel- resort being assigned, all you can get the best and bring back home one of the best experiences, there is enough good words to describe how wonderful a vacation in Punta Cana, all included ... and few expenses, what more could you ask for? Transfer from the hotel to the airport in Punta Cana. All meals in more than 14 restaurants. Bottles of champagne and wine. Experience in double jacuzzi with rose petals. Chocolate covered strawberries upon arrival. All drinks including over 10 clubs and bars. 50% discount on the dolphin swim. Discounts of 50% to go for two. The coast of coconuts in Punta Cana Bavaro has miles of white sandy beaches, most of the beaches of Punta Cana are private and reserved for hotel guests. Punta Cana is the temple of all-inclusive in the Dominican Republic, dozens of hotels are located along the beaches, each with its own stretch of private beach. among others in the same category. (Hotels will be assigned based on availability). 1- The price is $399 per person? * Not at all, with only $399 dollares you your partner and even a child of maximum six years, will enjoy this wonderful holiday all inclusive plan. * After purchase, you will receive a voucher via email that contains the description of your package and coupon code. With this voucher you're ready to make your reservation whenever you like, keeping in mind prior to your arrival date selected date at least 30 days. * No. You have 18 months to use their vacation, however from the moment you receive your voucher you can already make your reservation so be it for next year. * As mentioned terms and conditions, the cost of air is not included and costs $ 69.99 booking (non-refundable) and hotel taxes of $ 29 usd, which will also be paid at the time of the reservation request. * The offer will include the transfer only from the Punta Cana airport to the hotel, does not cover transfer back or from another airport. 7- When requesting my reservation pus select one of the hotels? 8- After applying my reservation when I receive confirmation of my hotel assigned? * You will receive an automated email after requesting a reservation, which will indicate that you are processing your request, then we will send you a survey to complete and return signed and finally a confirmation email in about 3-5 working days after that we have received the survey back from you. As long as you pay the expense pending reservation described in the offer of $ 69.99 and taxes of $ 29. 9. What type of room assigned me? * Your room will be Junior Suite with two double beds or one king bed and just get a room for each coupon. * If you want to include companions to stay, you may request at time of reservation request, at a cost of $ 120 per additional person per night. 10- If you desire additional days of my stay, where do I order? * You must order them directly with us, the cost will be $ 120 per person per additional night. 11- Can I use more than one coupon to extend my stay? 12- Can I buy a voucher for friends or family and travel on the same date and at the same hotel? * Buyers can purchase multiple coupons for friends and family, but could not use uo simultaneously in the same hotel on the same dates. If I could add people to stay for an additional cost. 13- I need to contact the hotel to book or to follow up on my reservation? * No. To use your coupon and take advantage of these special rates, all reservations must be completed by https://www.jzvacations.com. After the booking process is completed, you will receive an email with your confirmation code directly from the hotel confirmations department assigned only if for some reason we ask you to contact, then you must hacerlo.O if desired when and receive your confirmation code you can call the hotel to the code for any additional questions about your reservation. 14- I request any date? * Yes, just keep in mind that some festive or special event dates are subject to availability, such as July 4th, Labor Day, Thanksgiving, Christmas, New Year-and must be applied for at least 60 days advance. Which likewise does not guarantee confirmation. 15- Can we use the weekends? * Yes, you can submit your application dates for weekends. * There can be used immediately as we require minimum 30 days prior to the processing of reservation. However depending on the season, availability we can make exceptions. 17. Are my airline tickets included in this promotion? * No, our offers do not include airline tickets. You could manage these in line with your preferred airline. Or if you like one of our travel agents they could provide a free quote. * These offers are designed only for people who fulfill the terms and conditions described therein. The offers include discounts and including additional services such as meals, drinks and entertainment are for qualified families can participate in presentations vacation club. You must read the Terms and Conditions before buying to make sure you qualify for it or ask one of our representatives to ensure advice. Note that from the time of purchase will (18 months) to make use of this package holidays and reservations must be requested at least 30 days before arrival. Changes dates Reservations must be booked at least 20 days before the confirmed date. Must have at least two Credit Card with the logo (Visa ®, MasterCard ®, Discover ® or American Express ®) to make your check in, is not permitted debit or ATH or prepaid cards. Offer for married or cohabiting couples with any sexual preference, with proof of cohabitation for at least three years, as proof of coexistence can show (lease, identification with the same address, utility bills, bank accounts, insurance, or letter notarized). Both parts of the couple must be between 35-65 years old and both sides of the couple must be currently employed and have income of minimum $ 75,000 annual (Details will be verified only verbally). Single women are accepted, between 38-65 years old and must qualify with the other requirements. No person may acquire more than one coupon for extended stays. Price does not include spending $69.99 booking applied at the time of your reservation request destination or hotel taxes of $29 usd. Participation required to presentaciónpersonalizada in the resort or hotel (about 90 minutes) to become familiar with all available services and benefits that can be obtained during and after your stay. Offer final sale, we do not accept cancellations or refunds apply for these deals promocionales.Oferta is not redeemable for cash. Only valid for people who arriven on the day of check-in to the destination, not people who arrived earlier days to the destination will be accepted. If you ask for reservation and for some reason does not reach its hotel and confirmed dates, you will automatically be charged a penalty of $500 to the registered card purchase. If you receive confirmation from the hotel Ocean Blue & Sand, you will be charged $90 direct to the resort for transportation costs. All those who are qualified as NQ (not qualify) by the hotel as not complying with any of the terms mentioned in this offer, must pay the rack rate of the season to use their vacation. These offers are valid only for residents of the United States and Puerto Rico. Puerto Rico customers are accepted, under the condition that they must have Gold Credit Card. We do not accept retirees, both partners should be employed. 6 days for 4 people including breakfast for the whole family and 6 days rental car.